Thursday 6th April marked the opening of LOOK Liverpool International Photography Festival. I must confess that this has passed me by in previous years – this is the first I’ve heard of it. But their leaflet does describe LOOK/17 as “a new direction” for the festival, which may well mean bigger. The title of LOOK/17 is Cities of Exchange: Liverpool/ Hong Kong. Its purpose: to reflect on the historical, cultural and artistic exchanges between the cities. As different as they may seem, there’s more than one side to a place, and its these personal outlooks on a place that the festival is exploring. The festival began at two venues within a stone’s throw of each other on the Liverpool Waterfront, both of which are well worth a visit. 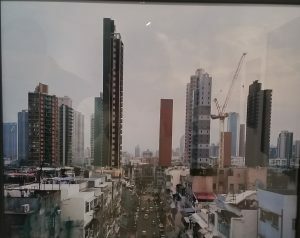 This exhibition essentially compares photographs of Liverpool and Hong Kong. The Liverpool photographs have been chosen by curator Charlotte Tsang from the Open Eye Gallery archives, to reflect her experiences of growing up in Liverpool with Hong Kong heritage. And they’re very good photos, including many by famed photographer Martin Parr. They capture various aspects of the city in interesting, sometimes hidden, ways. 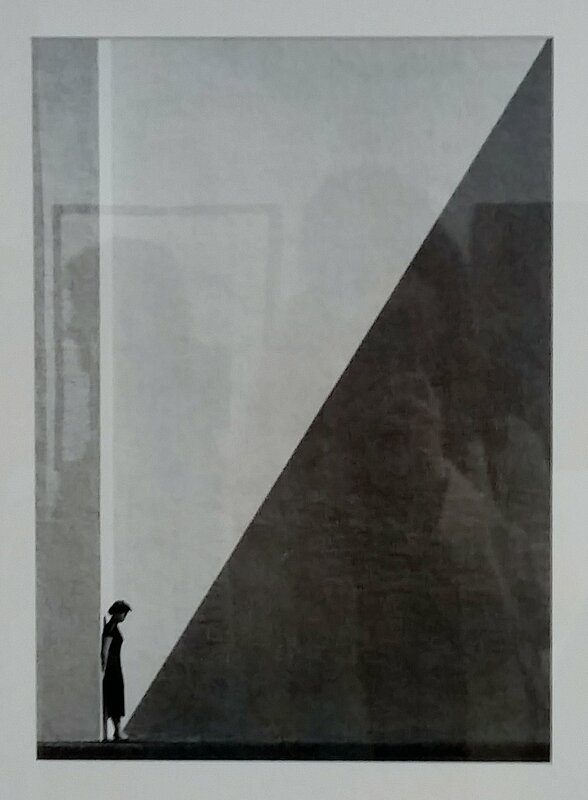 But they suffer by being shown next to the work of Ho Fan, whose photos of 1950s and 60s Hong Kong are absolutely stunning.His subjects aren’t those typical of a metropolis, but life in the back alleys. He captures his subjects perfectly, with the interplays of light and shadow, and the angles he finds, transforming each scene into something truly beautiful. This is truly universal photography – it captures a place and a time, but is a relatable to now as it would have been 60 years ago. The images bring the East closer, make it more relatable to our own experiences. I think hanging this show in the Museum of Liverpool, where many visitors are likely to be tourists, is a good choice. It first of all brings an artistic event into the awareness of people who may not otherwise seek it out – always good in my book, especially when the quality is this high. But while the long Chinese connection can be a footnote to Liverpool life for outsiders, the history of seafaring and settlement has surely contributed to the city’s famously liberal, open attitudes. This exhibition will give city visitors a different perspective on the city’s culture. Whilst each of the three artists featured at Open Eye Gallery focuses on a different aspect of life in a landscape of urban development, the themes of exploring similarity and difference continues through all of their own. Entering the gallery you are met by the large-scale works of Luke Ching. Ching turned a room of the old warehouse that is now the Titanic Hotel into a pinhole camera, capturing the changing utility of both the interior and exterior space. It’s impressive in size and the blurred, black-and-white style the pinhole technique has produced makes it a bit eerie. But whilst I understand that the method is capturing change, I personally couldn’t really see it reflected in the final work. 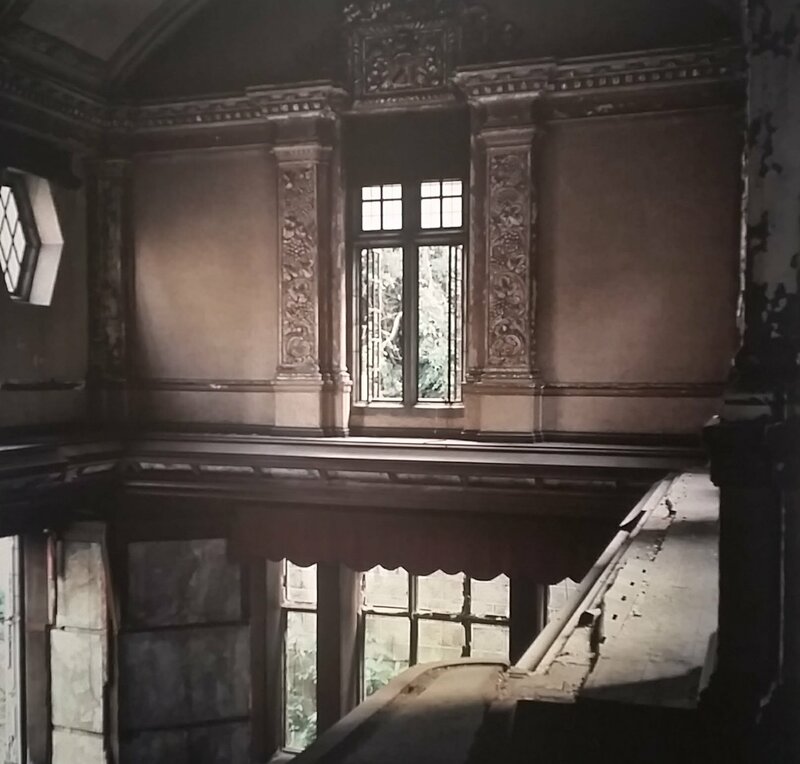 Wo Bik Wong has taken photographs of colonial-era buildings in both Hong Kong and Liverpool. If you want evidence that we have cultural similarities, here it is – I couldn’t tell without reading which shots were of which city. This of course raises questions about what we do with this often problematic heritage. Wong’s images capture the contemporary state of this architecture – one particularly memorable shot shows a staircase in what is now a hostel – explore the answers to this question. What should be regenerated, and what is better demolished or left to decay? If it’s preserved, how should it be used? The artist whose work I felt most resonated with the current state of our city, though, was Derek Man. 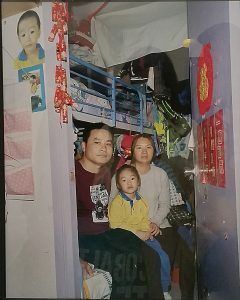 His photographs explore the housing situation in Hong Kong: developers seeking never-ending growth, dealers who can’t sell, and the residents who suffer. Man captures every aspect of the story, seems quite fair, telling a story about the reality. 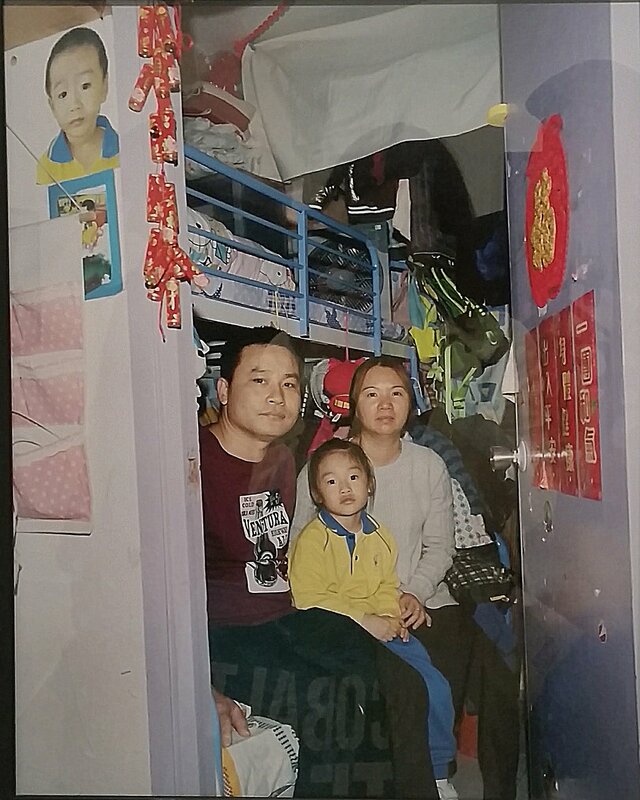 We in Liverpool may not live in the cramped conditions of the residents of Hong Kong’s sub-divided apartments, but there are reasons to discuss the impact of development in Liverpool. I’ve written before about the Curse of the Student/Party Flats which currently seems to be plaguing our city, and am concerned by the impact of this on what makes Liverpool a place you want to live. I’m not suggesting for a moment that we’ll end up like Hong Kong, but there are certainly parallels to draw between the obsession with more building and its consequences. At first glance Liverpool and Hong Kong are very different cities – one an enormous, densely populated modern metropolis, the other a notoriously friendly, relatively small city. But these two opening shows do a super job of looking beyond this surface, to find the human histories and experiences which unite us. In times such as ours, bringing two cultures together with shared experiences is an important and positive thing. I’ll be writing more about LOOK soon, and am intrigued to find out more about what our cities can share with each other. This entry was posted in Current exhibitions, Exhibitions, Home and tagged art, change, city, Hong Kong, Liverpool, photography, urban. Bookmark the permalink. ← Let’s Talk About It #14: A flag of freedom?